If you’re over the Unicorn Frappuccino, Pink Drink and all manner of Lisa Frank foods come to life, Starbucks has a new drink that might be right up your alley: Meet the Pepper Nitro with a Jerky Twist. It features cold brew Congo coffee poured through a nitro tap. The coffee itself is infused with malted fennel black pepper syrup. The drink, which resembles a refreshing stout, is then topped with “honey cold foam,” cracked pink peppercorn — and garnished with real beef jerky. “With the first sip, you get a hint of the honey cold foam and the aroma of the pink ground peppercorn,” said Raegan Powell, who works in research and development for Starbucks and created this particular drink. “The real surprise is the salty savoriness of the jerky garnish, an exciting complement to the smooth and sweet finish of the nitro cold brew experience,” she added. 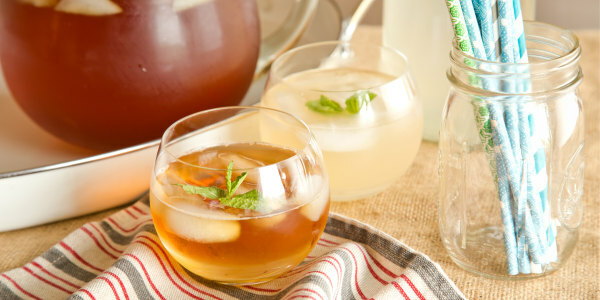 The drink is a blend of sweet and savory flavors. The Starbucks Reserve Eastern D.R. Congo Lake Kivu, which serves as the base of the drink, is a small-batch coffee from the eastern region of Democratic Republic of Congo. The drink debuted July 31 at Starbucks Reserve Roastery in Seattle and, unfortunately for meat lovers, is only available at that location for a limited time. But you could always recreate your own, right? If you’re nowhere near Seattle but curious about the flavor combo, we’d suggested making an imitation version. Take one can of unsweetened nitro cold brew, add in a little homemade black pepper simple syrup. Just mix 1 cup of sugar, 1 cup of water, and 1 tablespoon of black peppercorns in a saucepan and stir on medium heat until the sugar dissolves. Let it simmer for a few minutes, and strain it once it cools. Voila! And there you have a black pepper simple syrup you can use to sweeten up your coffee, or kick up any other cocktails with some extra bite. Pair it with beef jerky for a protein-rich afternoon pick-me-up!